- Treadmill run. Skipped boxing. My wrist feels strange. Not gonna lie. Uh oh. 4 days to fight night! 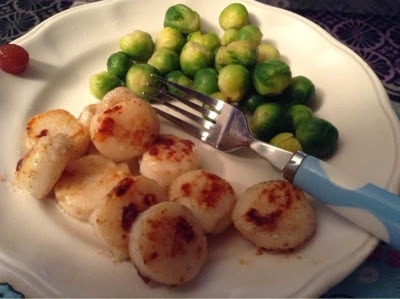 - Fried scallops in butter, boiled Brussels sprouts. Plain. But whatever. Protein and veggies.